Apple Inc. announced the launch of its video telephony product in June 2010 and this video calling service was listed on the Mac store on 24th Feb 2011. Though video calling service was already in the market by WhatsApp and Facebook messengers Apple always goes for its own designed product always so they decided to launch their own video calling App. Let’s know in brief about this video calling App. What FaceTime do is by establishing a connection between the two supported devices. Apple devices like iPhone, iTab support this feature. This calling service does not support other devices like Android. The android devices support WhatsApp and facebook video callings. Its well knew that the products launched by Apple support only their own products. The name “ FaceTime” was used to express the feeling that ok its now time to see each other, that way FaceTime was used by Apple. The video calling service is a one-on-one video chat that exactly means that only two people can talk at once. If a second user calls, and you want to pick that call then the ongoing call would get cut off and then a new call will start. Conference calling feature is not available on FaceTime. Also, until the release of IOS 6, FaceTime required a Wi-Fi connection to connect the video call but after the release of IOS 6, the FaceTime supported the operating system. There is another feature of this video calling service is that calls can be placed from supported devices to any phone number or email address that is registered to this video calling service. Here there is something more interesting than a single email address can be registered to multiple Apple devices resulting in calls on all those devices simultaneously. 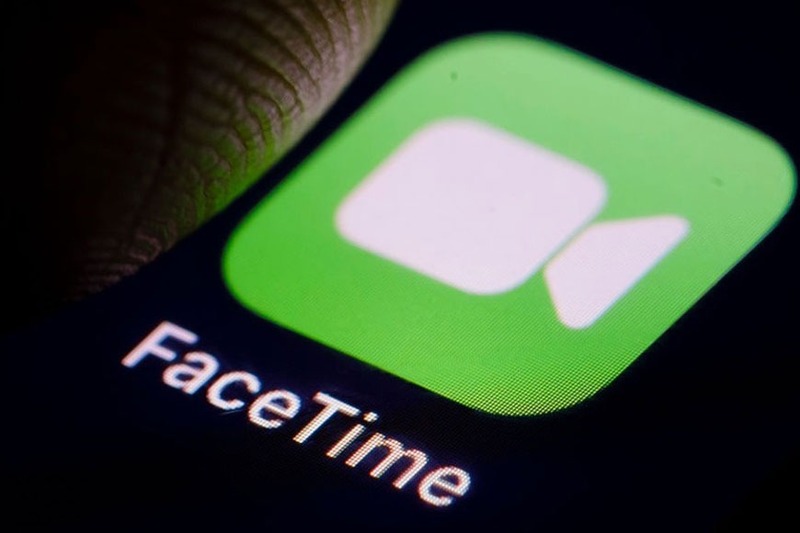 On the iPhone, the user can start FaceTime anytime during a call by pressing the FaceTime button and can initiate the video call and enjoy the feature. Apple Inc is known to have produced one of the best tech gadgets like iPhone, tabs, Macbook etc and still producing with great accuracy and precision. But the question here is after such a great success of this video calling product, why the group FaceTime feature has been pulled back by the Tech giant. Group FaceTime is a new feature which was launched by Apple Inc for conference calls. So that multiple people can make a call and enjoy the conference video call. 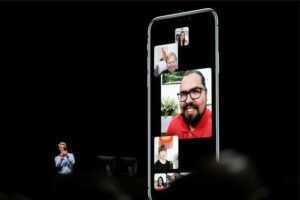 Group video calling was not introduced by WhatsApp and Facebook but Apple took one for the team and launched its most awaited feature of FaceTime. But recently a new Bug has been detected due to which the Apple user was able to hear other’s conversation even before the call was answered. This has created a hue and cry in the Industry that how this Bug generated. This feature was launched with much excitement and enthusiast and a really fancy advertisement was also shown on social media platforms and electronic media but this feature has failed to stand up to the expectations. This is not the first time that Apple devices have encountered any Bug. No tech gadget is so perfect that it doesn’t encounter any Bug. When there is technology there is always a bug ready to bring it down. The New Year started with much surprising Latest news-Apple iphone users warned of a new phishing scam. Though this scam did harm one or two customers it was a great blow to Apple Inc which is known to have one of the best mobile security systems in the mobile industry. So Apple Inc has decided to pull off this feature from FaceTime for some time until this bug problem gets away. How to Turnoff FaceTime on iPhone or iPad? For some time now, group FaceTime has been disabled from the app remotely. Also, the company’s status page shows a new update that Group FaceTime is temporarily unavailable which bar iPhone users to add each other for a Group video call. There are allegations that this bug is going to affect all the iPhone devices using IOS 12.1 or the versions which came after IOS 12.1. But you don’t have to worry about anything. For all latest technology related updates and solutions visit – www.justbutmust.com. what’s surprising is that the Group FaceTime feature was introduced just 3 months ago and has been a failure of the most renowned tech brand and the most anticipated feature went down like a flop show. A simple turn off the Toggle to Grey.